This was an academic conference with an engaging difference, in terms of tone, attitude and active participation. 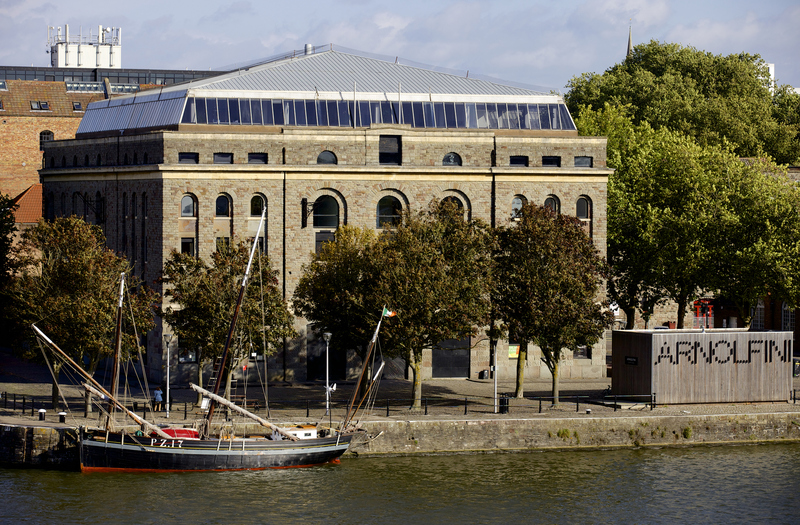 Held in the stunning setting of the Arnolfini gallery in central Bristol harbourside, the friendly greeting smiles and glittery painted faces of the Community Psychology Section organisers highlighted the inclusive feel of this event. All set to go with my festival wristband, I joined my fellow attendees, from babes in arms to those with years of experience to contribute, in checking out where to head to first. On the Friday, festival-goers considered environmental issues, at both the micro and macro level, at the participatory wellbeing and planetary boundaries creative workshop. Through movement and discussion, key issues around needs and wants, scarcity and demand were explored – I met social workers, environmental activists, performance artists, and educators as well as clinical and counselling psychologists during this exercise, with many passionate views. It was clear that this was the engaging ethos and invitation of this Festival. Whether the session focus was on the complexities of funding community projects, working with psychiatric diagnosis, homelessness, disability benefits, neuro-rehabilitation or loneliness in the older population, the central question of how psychology contributes to these debates at the interpersonal and community level was played out, looking at values, theory and practice. There were many examples of best practice from cities and projects across the UK, for example, from an occupational psychology project in Bristol, the role of nature in wellbeing and work (how can we challenge ourselves to make better use of our lunch-hours and local park), to a project from Headway Norfolk on how being with others can facilitate positive psychology changes following acquired brain injury. With a packed auditorium of psychologists and many others, the symposium considered the question, are we critical enough? Miltos Hadjiosif from the University of the West of England started by opening up our assumptions around criticality, then Carl Walker of the University of Brighton urged those of us based in research to consider how we can engage more effectively with policy makers. As psychologists, we are 'one voice and not a loud one' in policy making terms, and we should consider speaking more to the 'messy reality' as opposed to 'the ideal context' within the complex interaction between policy and evidence [keep your eyes peeled for an article on this from Carl in The Psychologist in the coming months]. Later that day, Lucy Johnstone, Consultant Clinical Psychologist encouraged the audience to use their critical and reflexive considering the evidence for and against psychiatric diagnosis, with some persuasive arguments as to why we should look again at some of the polarities and default positions offered by dominant thinking in the medical model. By Saturday, the creative spirit flourished, as families and kids arrived to join in the challenge of constructing a city with multigenerational prosocial urban spaces, led by UWE. However, the part of the day that I found most impactful was the 'Alonely' performance of qualitative research themes around loneliness in people over the age of 55 in the Bristol area. This was performed by community actors and researchers from LILAC (Local Isolation and Loneliness Action Committee) in an hour-long dramatic piece, scripted from the words of the participants. The ethos of this Festival was to get involved, whatever age, background, or community you represent, and get discussing – and the setting and energy around seemed to confirm its success. My only comment would be that it would be good to see a way for some of the conversations started at the festival to continue somehow post-event. At a time of uncertainty and much anxiety at the psychological, political and social community levels, getting down to both practice and theoretical concerns at this festival was just what was needed. I attended both days at the Festival within the rejuvenated Bristol Dock Area. The sold-out event was jointly organised by UWE Bristol and the Community Psychology Section of the BPS. Why Bristol? It's a city that has gained a reputation for its creative and independent spirit, as well as the increased sense of community engagement of its residents. At the same time, Bristol faces familiar challenges: homelessness, defunding of welfare services, and marginalisation of minorities. A strong emphasis of the Festival was informality, as well as a good coverage of Community Psychology issues, promotion of interaction among attendees (both at individual sessions and through workshops), and on ensuring that all attendees had an enjoyable and memorable experience. What about content? As with all meetings with a professional theme there were good and bad sessions, but the vast majority were excellent. Contributions were not only from Psychologists from academia (however, the majority), but also from workers from diverse community services, trainers, and independent practitioners. I can only hope to cover a small selection, to give a flavour. An excellent introduction to the Festival, presented by Miltos Hadjiosif (UWE), informally set the scene for the next two days. In an interesting joint presentation by Miltos and Carl Walker (University of Brighton) later that morning, Miltos quite strongly suggested that though Counselling Psychology practices were now generally accepted as a legitimate ‘mainstream’ form of Psychology, the teaching, methods, and practice of the discipline were still wanting somewhat. Carl gave two presentations; a critique of governmental selective use of Psychological Evidence for their own ends and then a presentation on the misuse through a selective, biased, and over focused use of statistics – especially where this negatively impacts the work quality of academics in higher education. Later there was a very sincere, and in parts humbling, presentation by the deputy Mayor of Bristol (Asher Craig) on the City’s approach to issues of deprivation, mental health, and wellbeing. She discussed Bristol’s means of address to the many issues in the area, the methods adopted, and their explicit agreed goals – made to be maintained regardless of the current government austerity measures. Day two started with a workshop, conducted by Chris Pawson and colleagues from UWE. Its aim was to explore how an intergenerational co-creation of urban environments might be generated. Both adult and children participated, and floor space and scrap material was used to produce various model components of a prosocial urban environment. A session on 'Building Bridges – Working with local communities and making a difference through improving communication across languages and cultures' was entertaining and highly educational. The session was conducted by staff and students from the University of the East of London (UEL) and a representative from the Refugee Council. The gathering started with all attendees exercising and dancing together as a means of demonstration that universal communion could be facilitated through dance and music. Many presentations were made during this session to illustrate the problems with communication between diverse ethnic communities in the UK, and also with regard to the integration of refugees within UK society (e.g. language and cultural differences often leading to isolation). Interesting presentations were made by several UEL students outlining the differences in culture and language between their countries and that of UK. The session ended in further dancing! The UEL Mental Health and Wellbeing Portal for Refugees and Asylum Seekers can be used as a first-stop Resource Centre for refugees and asylum seekers, as well as health and social care professionals, organisations and agencies working with them in the UK and internationally. See https://www.uel.ac.uk/schools/psychology/research/refugee-mental-health-and-wellbeing-portal/resource-centre. Find much more community psychology in our archive.